Spruce up your space this January. January is the perfect and opportune moment to clear out your space to make room for all the presents and sale items you now have knocking around the house. I do regular clear ups of my room because it is so crammed full of stuff it is beyond a joke. I just seem to accumulate a load of stuff and every few weeks the sides and floor is full of stuff again. With the help of Homesense* I have successfully tidied up my room and I thought I would share with you some of my top tips for clearing, tidying and freshening up your space wether it be your room, flat, house or even your office. Organise stuff into bin it, keep it, gift it, sell it, give it! – There are always things lying around that are no good to anyone and can easily be binned. Most of the stuff involved will be in the keep pile and then can be neatly placed back. Gift it is for anything that you think your friends might like e.g. makeup. I usually sell anything that I either haven’t worn or is something like a DVD/CD/Book and anything else that I can’t decide what to do with normally goes to the charity shop. If you buy something new get rid of something old – This is a great way to make sure that your space doesn’t get overcrowded and only keep what you really need. If you have something similar and are not willing to part with it for this new item, maybe leave it in the shop. Dust/Disinfect your surfaces – This will instantly make your space appear/feel cleaner and safer. Buy some flowers (real or fake) to brighten the space – Now this one is my favourite, I recently popped to Homesense to buy some faux flowers*. Homesense have a large faux flower market full of flowers that are suitable for all areas of your house. 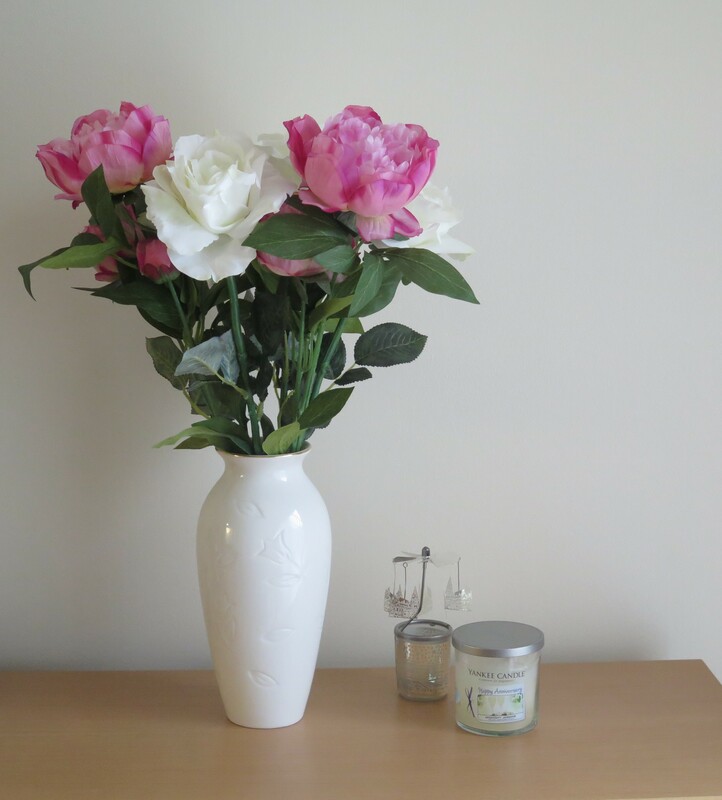 I chose these pink and white beauties to brighten up the dining room. At around £2/£2.50 a stem you can get a really decent bunch for around £10 which will last a lot longer than fresh flowers. 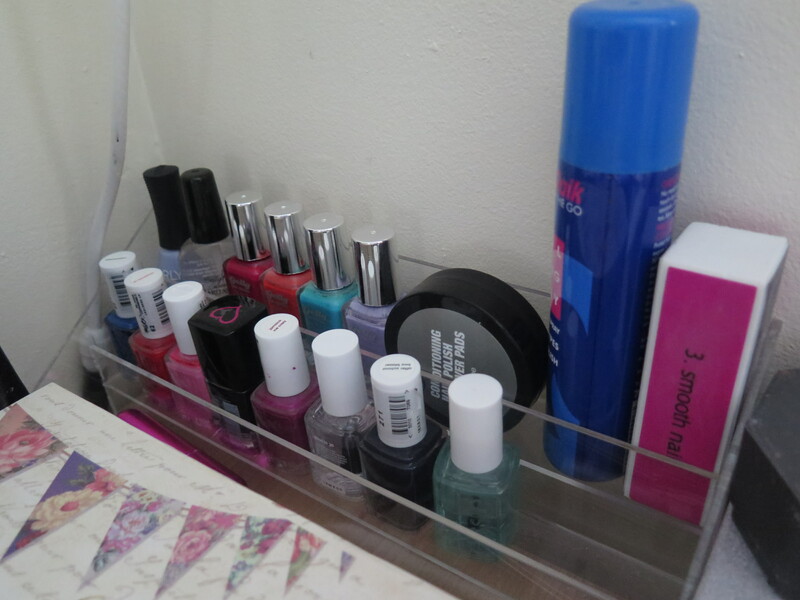 Get suitable storage – the cuter the better! 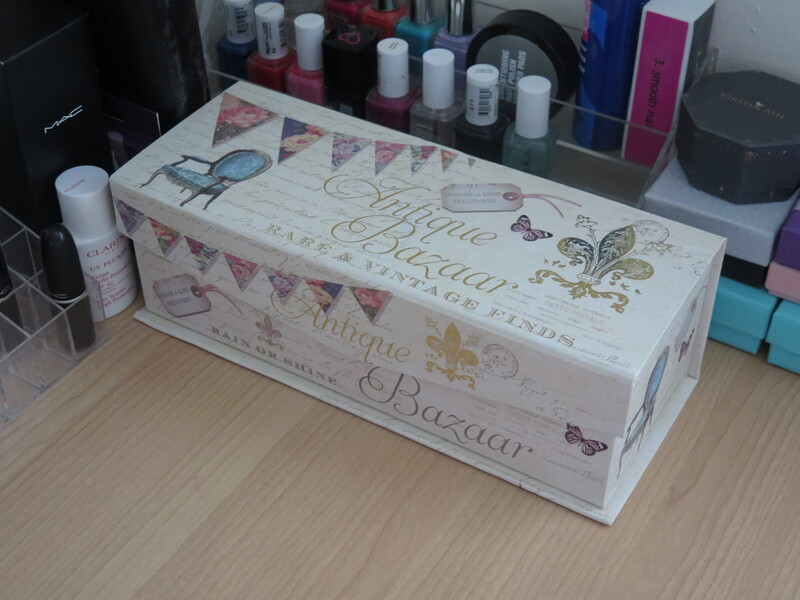 I am a sucker for storage and stationary and Homesense had loads on offer on my last visit. 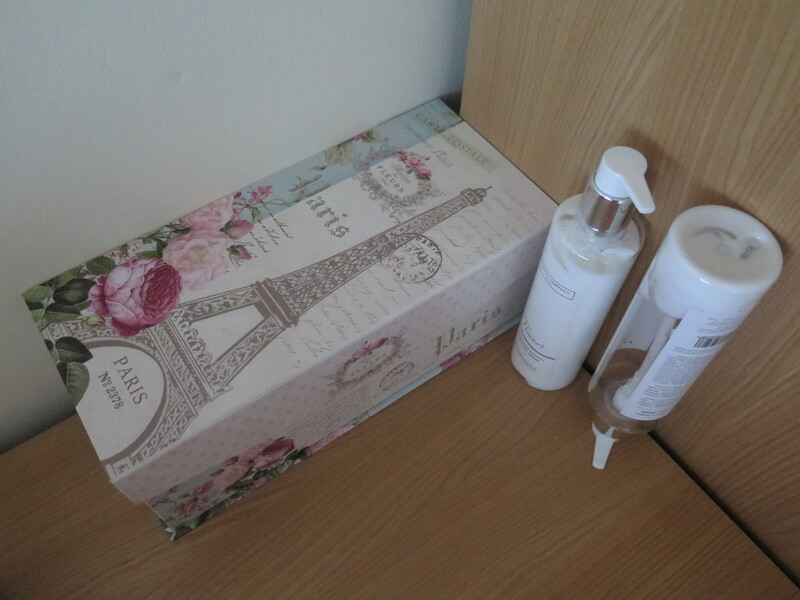 They have cardboard, material, wooden and metal storage and their is something to suit everyone. I opted for some of the cardboard storage* as it suited the space more. 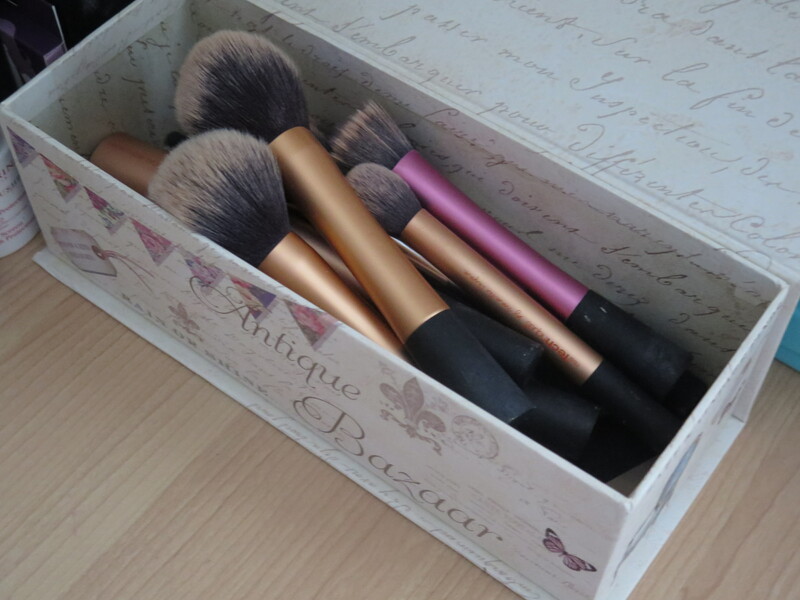 I bought two vintage designs – one for my makeup brushes and the other for my Mum’s small but growing makeup collection. 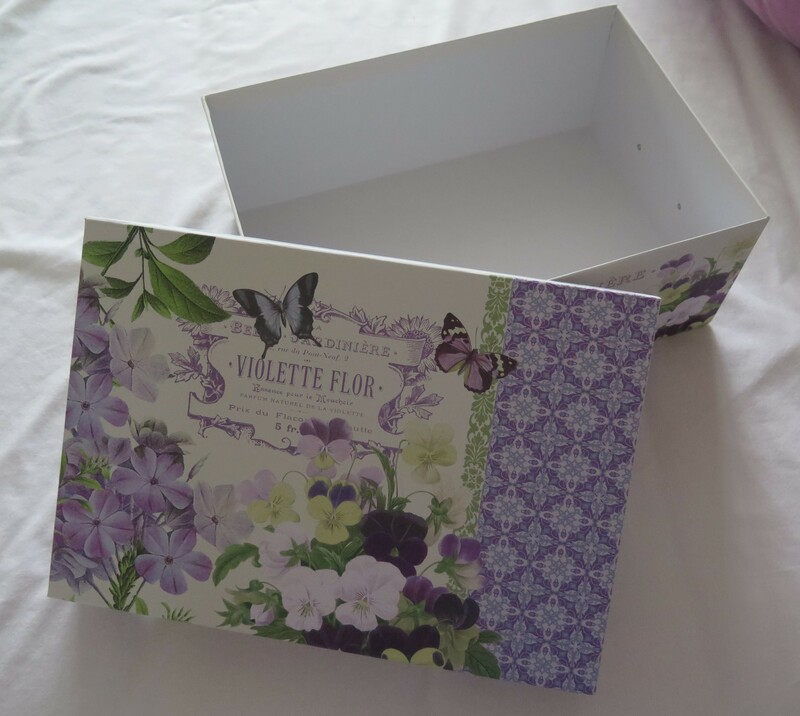 Another purchase was this shoebox* which I am planning to make into a keepsake/memory box for all the odds and sods that I want to keep in one place. 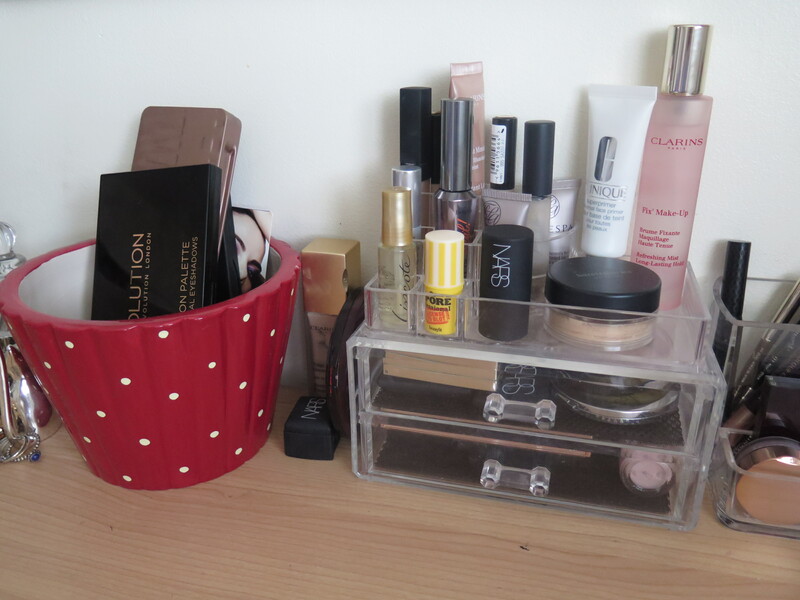 Organise your makeup in display cases that are easy to access – In Homesense I purchased this Rose Gold metal storage unit which I now use to store my blog samples/products that are waiting to be tried out. 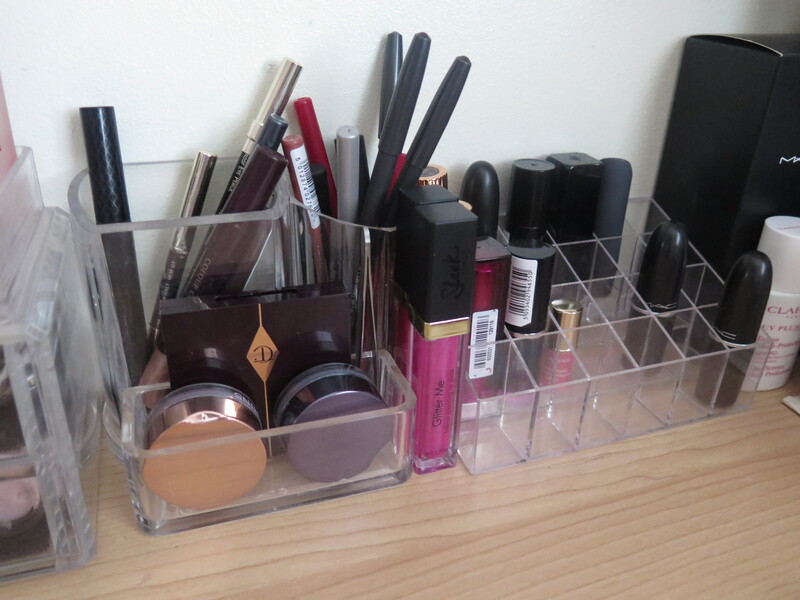 I also have these clear plastic storage units which I purchased from Amazon last year. 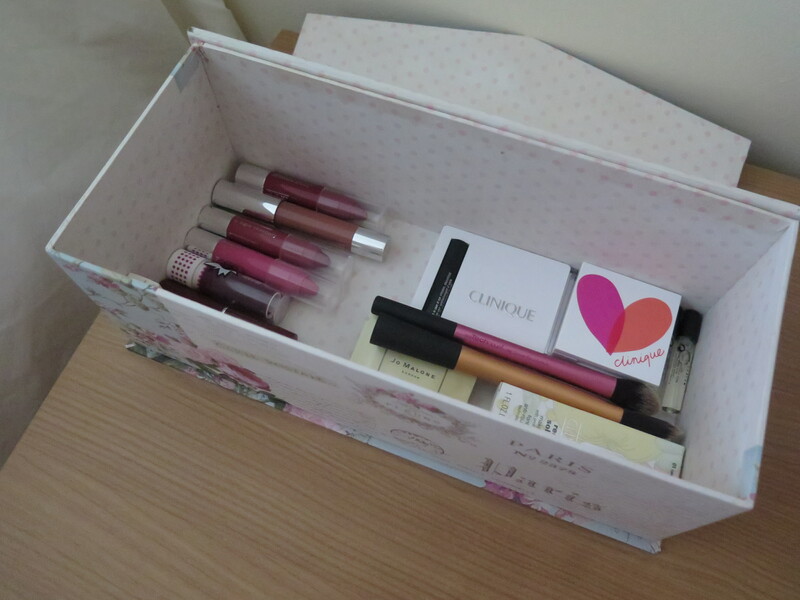 These are perfect to store your makeup whilst still being able to view whats what. Those are my top tips for tidying, sorting and freshening up your space this January. What are your favourite things to do to your space in January? Let me know in the comments below.